Following the eight days of fire, many animals and hectares of vegetation were killed. Heavy rains have aided hundreds of exhausted firefighters as they attempted to put out a huge fire on Kirinyaga Castle Forest on the southern side of Mt Kenya National Park. 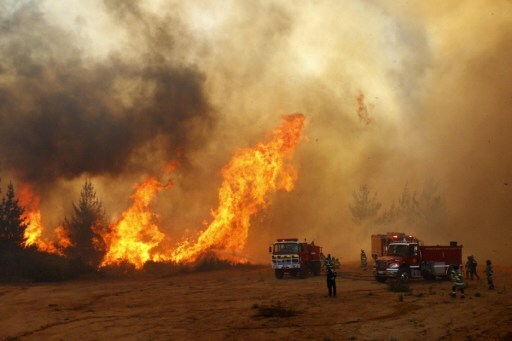 A report by Kenya’s ministry of environment and forestry stated that Kenya Forest Service (KFS) and members of the Community Forest Association (CFA) had also put out fires in the Ndaragwa and Kamiruri areas, the East African reported. However, the fire was still raging in Chogoria, Tharaka-Nithi County and was threatening the north-west of the park. Following the eight days of fire, many animals and hectares of vegetation were killed. The blaze first erupted in Moorland near Lake Ellis in Tharaka-Nithi County before spreading to neighbouring Embu, Meru, Kirinyaga, Laikipia, and Nyeri counties. Nearly 500 Kenya Defence Force (KDF) members assisted over a hundred firemen battling the inferno with the support of helicopters and water pumps. Private properties were also reported destroyed in the North Rift and due to the danger of further fires breaking out, the environment and forestry ministry issued a new policy demanding a 48-hour written notice from residents intending to burn any vegetation in areas adjacent to forests. Chief Conservator of Forests Monica Kalenda said more than 120 cases of fire had been reported since January while valuable properties had also been destroyed.